The Tans were ex-servicemen, many of them scarred from their time in the trenches during World War One. In my novels I write about such veterans and their difficulty in adjusting to post-War life. From intimidation, to physical assaults to outright murder, they were a law unto themselves who sowed fear amongst the communities they patrolled. My own grandfather, who was involved with the IRA during the War of Independence, felt their wrath when once they used pliers to pull a fingernail from his hand during an interrogation. But there is one Black and Tan who has a special place amongst their ranks. 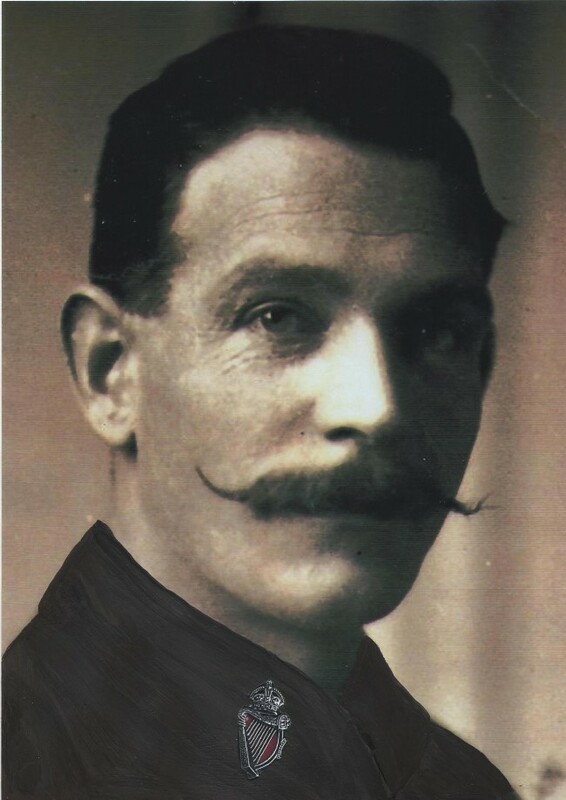 His name is Private William Mitchell (pictured) and he holds the dubious claim to fame of being the only Tan or British soldier to be hung for crimes committed while in Ireland. I came across the story of William Mitchell through historian Denise Kelly, who has produced a fascinating book on him, called Running With Crows: The Life And Death of a Black and Tan. Kelly has conducted impressive research to tell Mitchell’s tale, from his upbringing in the notorious Monto area of Dublin, through to his service with the British Army in India, then in World War I and, finally, in Ireland. Mitchell was one of the 20-odd percent of Tans who were actually Irishmen. His career in the military was chequered to say the least – imprisoned for insubordination while on the front line, he served his sentence before being injured during a German attack and was sent home. Mitchell was a petty criminal who, it would appear, got too ambitious and bit off more than he could chew during a robbery at the house of a local magistrate in Wicklow. The robbery was bungled and the magistrate was shot dead. Tan outrages in Ireland had up ’til then gone unpunished but such was the furore over their lawlessness that an example was decided to be set in this case. Mitchell denied any involvement, but he was charged nonetheless. A rushed trial, with rather dubious evidence, would see to it that he paid the ultimate price. Denise Kelly’s book paints a detailed picture of Mitchell, from birth to death, and gives fascinating insights into slum life in Dublin and what soldiering was really like in the fading days of the British Raj. Mitchell, who was hanged in Mountjoy Prison in Dublin in 1921, seems to have been cut from the same cloth as many of his fellow Tans. What Kelly has done, though, is to put a face and a real story to one of the most notorious paramilitary groups ever to stain the character of the British military. William Mitchell’s body remains in the soil of Mountjoy to this day, unclaimed by any relatives. His story is typical in so many ways of his comrades, yet his final penalty means that he will always be the anomaly – the Tan who was executed by his own side. It’s not much as epitaphs go, but it is enough to ensure a peculiar kind of notoriety in a time when the gun and the bullet ruled the day. My Grandmother often spoke about 'thetan' being more brutal that any men of war ; shooting ;maiming ; torturing people , for walking on the same side of the road as them . In my tribute to her ; That's Just How It Was - I did to convey this message to readers. 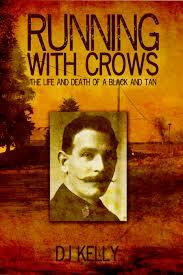 "Running With Crows" author DJ Kelly is a long-time member of TheWildGeese.Irish. I suggest anyone interested in keeping in closer touch 'friend' her here. Fellow member and novelist John J. Gaynor has reviewed her book. We launched a discussion of 'Tans in the (Family) Closet,' which we re-present here. By all accounts the Auxiliaries were worse than the Tans. David, I wasn't sure if you intended your post here as a review. In any event, I'm sure Denise and other readers appreciate the additional perspective on her work and this history. Yes, I appreciated this piece, for it shed light on the Tans and was a wonderful review. That's praise indeed coming from the author of two well-written adventures set in the same era. I thoroughly enjoyed your 'TAN'. The main character was well-rounded and sympathetically drawn and the story was historically accurate and engaging. David writes highly readable blogs, too, folks. He has a knack for finding highly unusual and fascinating facets of history. David, you should post a link to your history blog page on here. I know others would enjoy your blogs. Wasn't that wonderful of Denise to post? Nor was I sure of posting a link, but I saw that John Anthony Brennan did so and tried my hand! I always assume Ger has the stamp of approval on appropriateness. I see none of us as promoting our work, rather it's in the spirit of sharing something regarding Eire that may be of interest to our fellows!